Caleb approached his friend, Joshua, with something on his mind. They had experienced many things together since that disastrous spying expedition. At age forty and in his prime, he had been ready to complete the mission entrusted to a covey of spies. 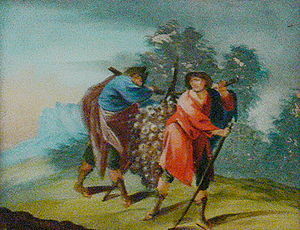 Only he and Joshua returned with an encouraging report, and garnered God’s blessing. The rest met an inglorious end, and a quarrelsome Israel found itself consigned to forty years of wandering. In spite of the difficulties during those years in the wilderness, the life cycle continued as it always had—births, marriages, families, death—and a new generation emerged to carry out the next objective of entering the promised land. Achsah, Caleb’s little Anklet, had been born during a troublesome time. She’d grown up amid the contentions between the LORD and Israel, watching Caleb and Joshua stand firm in their faithfulness. Her father was a man of integrity. It took several years, but finally Canaan was subdued. One by one the tribes received their territories by lot, including Caleb’s own, the tribe of Judah. But the faithful spy had been promised more, and he now prepared to present his petition. Caleb proceeded to request the very land that had so terrified the anxious spies—the city of Hebron and its surrounds—home to the Anakim. Reports indicated the displaced giants were attempting to reestablish themselves after Joshua’s initial rout, and the eighty-five-year- old was itching to dispatch them and claim their stronghold as his own. Joshua honored his friend’s petition, affirming it with his blessing. Caleb and his troops wasted no time taking Hebron and driving out Sheshai, Ahiman, Talmai, the sons of Anak. Satisfied with his conquest, he turned his attention to Debir, some fifteen or so miles to the south. He had plans for this town. Word spread quickly about an extraordinary offer: To the man who conquered the formidable Debir, another city of Anak, Caleb promised the hand of his daughter, Achsah, in marriage. Only one man proved worthy—Othniel, his own brother. Cut from the same cloth as his courageous sibling, Othniel won the city, and returned to present his victory as a sort of bride-price. It was not as though he was a total stranger. After all, he and Achsah were from the same clan, and relatives; they had experienced the years of wilderness wandering together. Perhaps that fact alone spurred the young man’s ardor for her more than the promise of land. Had her wise father sensed—or perhaps even manipulated—the outcome in advance? Othniel was indeed a fine man. 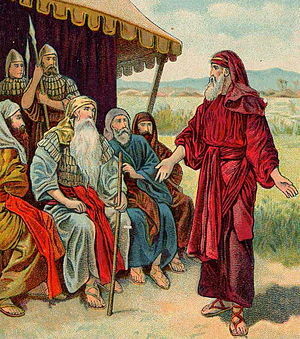 True to his word, Caleb gave Achsah to Othniel, and looked on as the young bridegroom and his entourage took her from the family compound to begin a new home. Her dowry consisted not of the customary money or jewelry, but rather, of a piece of land. How many fathers of the day would give such a treasure to a daughter? There was just one problem—one of considerable magnitude. The parcel he had given to her had no water source—a vital necessity for the productivity of the arid terrain. Achsah expected to grow gardens there, and even maintain some livestock. She would need more water than cisterns could supply. So she and Othniel devised a plan. Caleb watched the distant figures grow larger until he could clearly see the comely features of his daughter. As her entourage drew close she caught sight of him and quickly dismounted from her donkey, a sign of her enduring respect. After the proper greetings, he listened as Achsah began to speak. This daughter of his was not only beautiful, she had a good head on her shoulders as well. Her husband must have recognized as much, since here she stood before her father, not Othniel, laying out the reason for her visit and presenting their request. “Father, you gave me a parcel of land, and for that we are grateful,” she began respectfully. “But there is no water. Please give me one blessing more—springs of water.” She was asking for an additional gift, and she carefully avoided any perception of making improper demands on the family land allotment. The terrain of the Negeb where Debir lay situated ranged from fertile and hilly, to dry and arid. Without proper water, no vegetation could survive, nor could an agricultural endeavor thrive. Instead of challenging her request, and viewing it as a violation of the laws of inheritance, Caleb gave her an adjoining field which contained both upper springs and lower springs, virtually insuring the productivity of her land. As Achsah returned to her new home, she was secure in the knowledge that her household would be fed, her potential for commerce improved, and her husband’s worth would increase—all because she dared to ask for more. 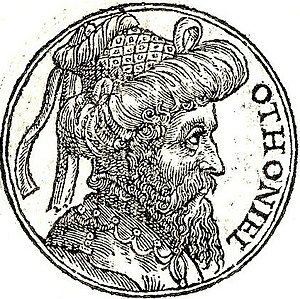 Some years later Othniel proved himself once again a valiant warrior, moving against the Mesopotamians who had been oppressing Israel. He became the first judge of Israel (Judges 3:7-11). Scripture records, “So the land had rest for forty years. Then Othniel the son of Kenaz died.” There is no other mention of Achsah. The Hebrew word for Achsah translates as ankle or anklet. Both men and women of the time wore bracelets. Women often wore ankle bracelets; those who were wealthy adorned themselves with ones made of gold and which often made a tinkling sound as they walked. Perhaps Achsah was a name of endearment chosen by Caleb and his wife at the birth of one who seems to have been his only daughter. 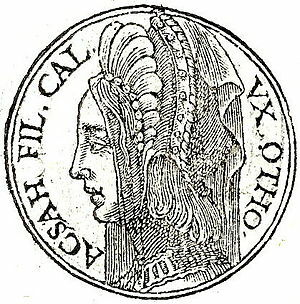 According to one rabbinic tradition, Achsah was so beautiful that any man who looked upon her would be angry with his own wife for being less beautiful. For more information, see Illustrated Manners and Customs of the Bible (1980), Packer & Tenny, Eds., p 484. I feel it likely that Caleb also had sons, but in referencing the genealogies in I Chronicles 2 there are two Calebs who lived several hundred years apart. It proves challenging to distinguish between them with regard to their wives and offspring. So I will err on the side of caution and stick with what the Bible clearly records: Caleb the spy had a daughter named Achsah. What follows is my paraphrase of Joshua 14:6-13. Some sources comment that possibly the Anakim had reestablished themselves in the environs of Hebron, and thus had to be re-conquered. See Joshua: His Life and Times (circa 1889), William J. Deane, p 142, and Keil and Delitzsch Commentary on the Old Testament, electronic version (1996), comment on Joshua 14. I have adopted that scenario for this post; however there is not full agreement that this indeed was the case. There is much discussion as to Othniel’s relationship to Caleb. Some feel that he was Caleb’s brother or half-brother by a different mother (Deane, p 142; The Expositor’s Bible Commentary, Joshua 15:17) while others identify him as a nephew (The Woman’s Study Bible, Joshua 15, profile “Achsah”). 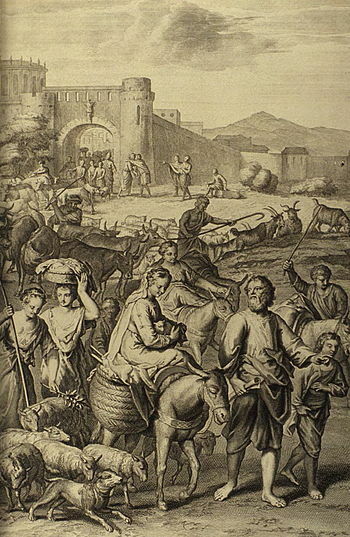 For more on bride-price and marriage customs, please see Mary Hendren’s upcoming post on Rebekah. According to one source, the dowry remained the woman’s even if she were widowed or divorced. Achsah’s interest in water supply could have future ramifications. Jamieson, Fausset, and Brown Commentary has some interesting comments concerning the possible location of these springs, and their relevance to Arab shepherds. See notes on Joshua 15:19. William Deane (Joshua: His Life and Times) records a citation from Pal. Survey Reports (1874), written by Scottish geologist, JamesGeikie, that “in a secluded valley near Debir there is quite a phenomenal supply of water, fourteen springs in all, some in the upper part of the valley, some in the lower, which never fail in the driest summer; the land thus fertilized became Achsah’s portion” (p 143). Posted in Achsah, Anak, bride-price, Canaan, Debir, dowry, Giants, Othniel, Spies, Tribes of Israel, Uncategorized. Bookmark the permalink.